Front Porch Cafe is hosting their second pop-up market Friday, April 12 from 5-8pm. 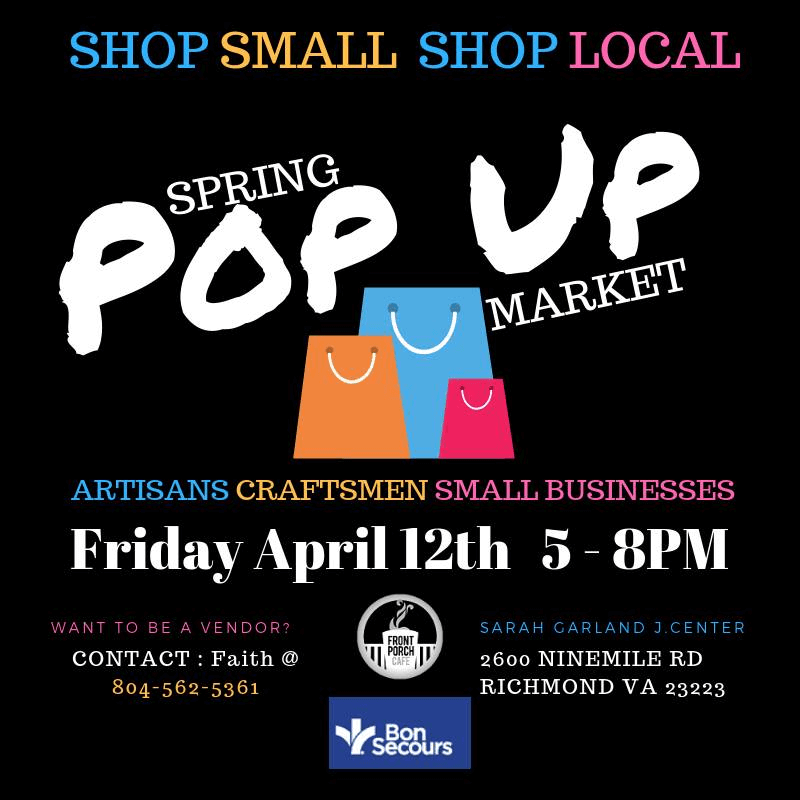 The pop-up market, now in partnership with Bon Secours, is an opportunity for the community to support local artists, vendors, and small businesses. In the spirit of spring, the event will have a bouncy castle and DJ! They will also serve special menu items including grilled hot dogs, vegetarian chili, and a chili cheese dog combo. We look forward to hosting these events regularly as a celebration of commerce, culture, and community in Church Hill.